Stock Number: S1016C, Price: $ 100.00. 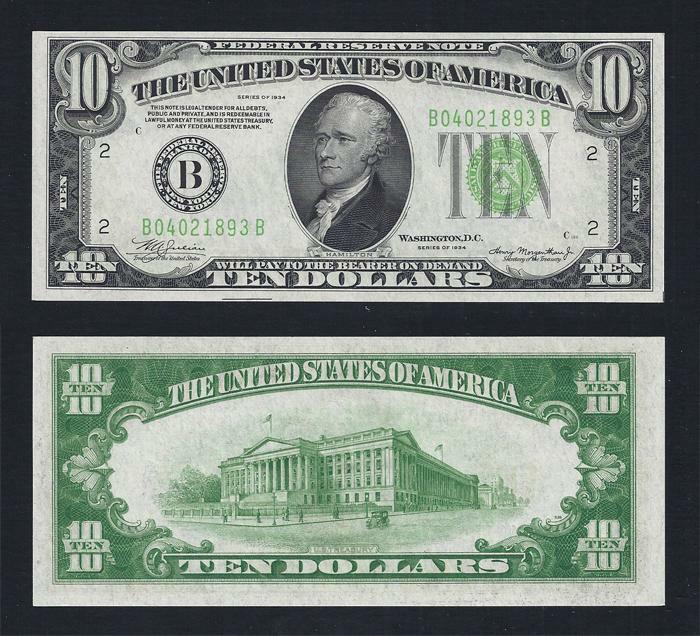 $10.00, FRN, Series of 1934, Fr. # 2004-B, Serial Number B04021893B. CHOICE UNCIRCULATED. This is a low serial number from the B-B Block of New Your Feds. Clear margins but thinner at the top so it is graded Choice Uncirculated. Very crisp original paper.